TrueTipe – computer font format developed by Apple in the late 1980s. The fonts in the format used in many modern operating systems. 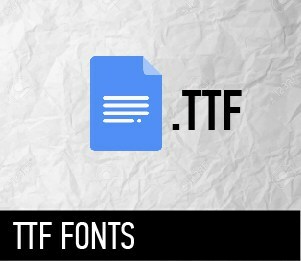 Files with the fonts have the extension name «ttf». Depending on the version of the format, the maximum number of characters stored is limited to values of 28 (256) 216 (65 536) or 232 (4 294 967 296).